Lemon, citrus aromas and a little smell of bush, green apple with a bit of butter, vanilla and crisp acidity and richment nuts flavours. 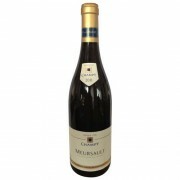 Founded in 1720, Champy is Burgundy's oldest wine firm, and their cellars in Beaune date back to the 15th century. Today, under the ownership of Henri and Pierr..
A deep ruby colour with violet shades. 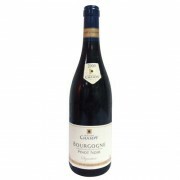 Very expressive nose of black red fruits, chocolate and vanilla with hints of wood. Well balanced, supple and round. Soft texture on the palate with well integrated tannins. Founded in 1720, Champy is Burgundy's oldest wine firm, and their cellars in Beaune ..
Lightly toasty nose. Touch of orange pith. The power and concentration emerges on the palate but in embryonic form. It's all structure and promise at the moment. Drink 2015-2025 Founded in 1720, Champy is Burgundy's oldest wine firm, and their cellars in Beaune date back to the 15th century. Toda..
“A discreet touch of wood sets off very earthy, even animale aromas of dark berry fruit and crushed leaf that are in keeping with the rich, full, dense and serious middle weight plus flavors that bigger and more powerful yet finish with a velvety texture and sappy dry extract. A high quality village.. Crisp and fresh with floras, aromas of peach and fruits and a little mineral , round and richness Founded in 1720, Champy is Burgundy's oldest wine firm, and their cellars in Beaune date back to the 15th century. 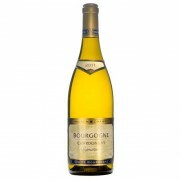 Today, under the ownership of Henri and Pierre Meurgey and Pierre Beuche, Champy is ..
"A bright yellow pale colour. 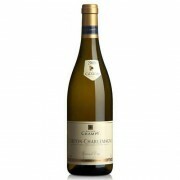 Good aromatic intensity with citrus and hazelnuts notes. 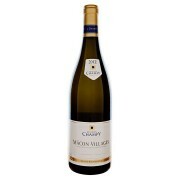 Supple, delicate on the attack and rich on the palate with a long finish. " 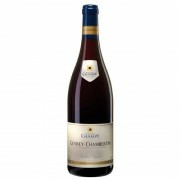 Founded in 1720, Champy is Burgundy's oldest wine firm, and their cellars in Beaune date back to the 15th century. Today, under the ow..